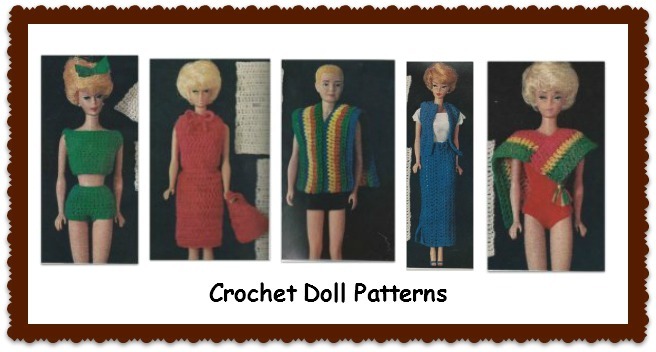 Making these easy crochet doll clothes will help you learn to crochet quickly. By making a summer wardrobe for high fashion dolls and their boy friends. This step-by-step. 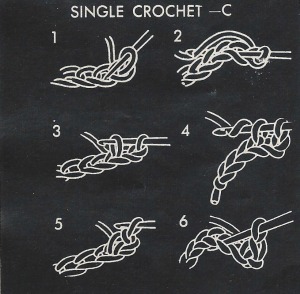 Illustrated on this page gives complete instructions for the crochet basics. How to chain- ch, single crochet -sc and double crochet – dc, everything you need to know to follow the directions for the clothes shown here. To make things even easier each is made of straight pieces of crochet. No increasing or decreasing needed! 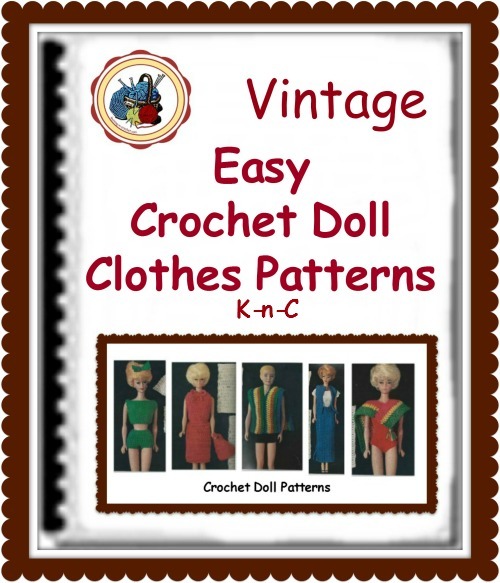 The instructions for making each of these crochet doll clothes pieces is included in the ebook. Diagram 4. 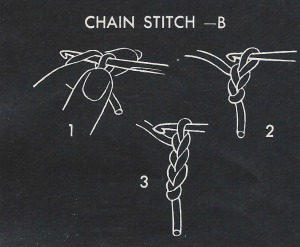 Grasp thread firmly enough to hold tension but not so tightly as to make it difficult to pull loops through; diagram 5. Diagram 2 Repeat to make the required number of chains according to the directions. 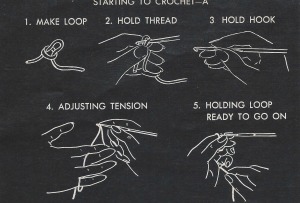 By holding thumb and forefinger near the stitch in work you can control the tension. Keep 1 loop always on hook until end of chain. 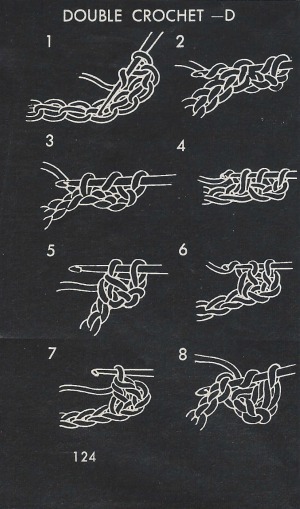 Diagram 3, In beginning a piece of crochet, your starting row of chain stitches should always be worked more loosely than following rows. Diagram 6. At, end of row, chain 1, turn work so reverse side is facing you. Work first single crochet of second row under top 2 strands of first stitch. Diagram 8. Repeat from * in each chain. At end of row, chain 3, turn work around so reverse side is facing you. Yarn over hook, insert hook from front under top 2 strands of second stitch and repeat from' * to complete double crochet of 2nd row. The chain 3 counts as first double crochet of each row. 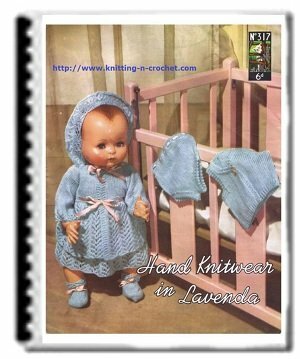 You will find complete instructions and patterns in this ebook. You can have it now with the immediate download.